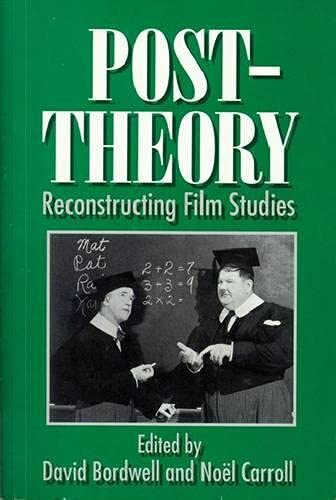 Dissatisfied with the vast body of film criticism bound to the theories of Sigmund Freud and his disciple Jacques Lacan, David Bordwell and Noel Carroll have compiled a group of essays that pursue alternative routes. "If there is an organizing principle to the volume," they write in their introduction, "it is that solid film scholarship can proceed without employing the psychoanalytic frameworks routinely mandated by the cinema studies establishment." These essays tackle films of many genres and from many countries. Looking through the lenses of the anthropologist, the economist, the social critic, the formalist, the aesthetician, the narratologist, and the cultural historian, the essayists in this volume offer original, diverse, and erudite perspectives on the art of the movies. --This text refers to the Paperback edition.